Anthony Baldry is Professor in English Linguistics, Faculty of Political Sciences, University of Messina and continues to teach at the University of Pavia where he was Associate Professor at the Faculty of Medicine from 1998 to 2008. What should a theoretical model for website analysis look like? What can detailed comparative corpus-based semiotic analysis teach us about the trends, goals and image-promotion strategies of major institutions such as the world’s leading universities? What special targeting is given towards specific communities: language and other minorities, the needs of women, mature students and so on? What regional differences exist in websites between the three major world areas of America, Europe and Asia/Pacific? The aim of the book is to present a theoretical and applicative approach to corpus-based multimodal analysis of website texts. The approach is demonstrated through the analysis of websites using the MCA multimodal concordancing and corpus construction system. The book is based on a corpus of University websites that have been converted into a film format. 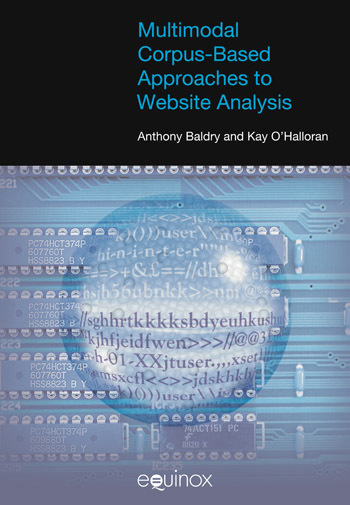 The book raises issues about research into website analysis from a semiotic as well as a social and cultural standpoint. A broad-based theoretical platform is adopted for the analysis of multimodal websites and user sessions drawing on social semiotics, mass media and communication studies, film theory, systemic-functional linguistics and genre theory.